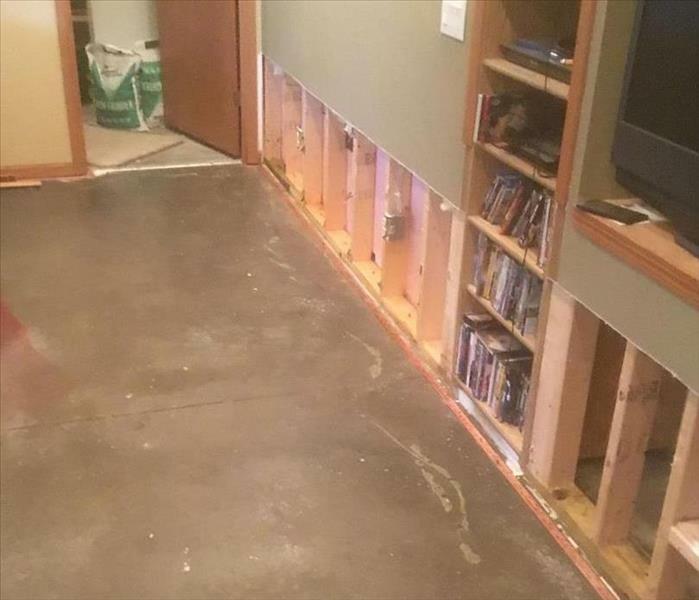 This flooded basement in Iowa was the result of recent catastrophic flooding that took place. 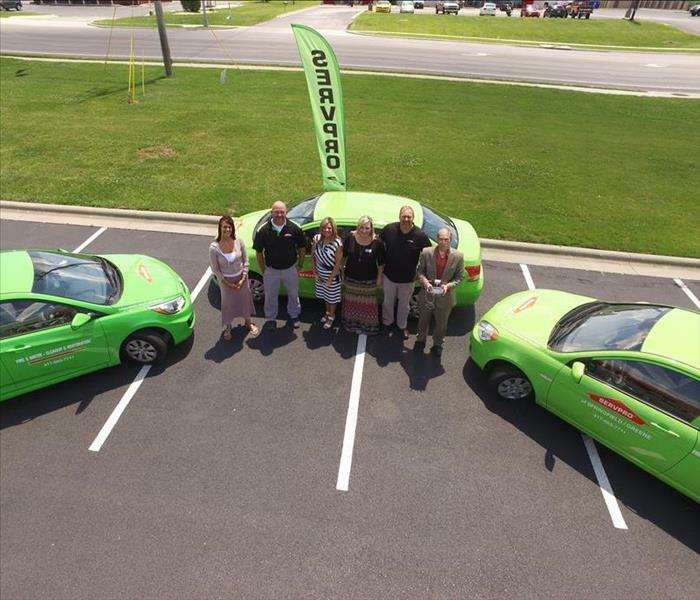 SERVPRO of Nixa/Branson sent crews to help dry out homes and businesses. 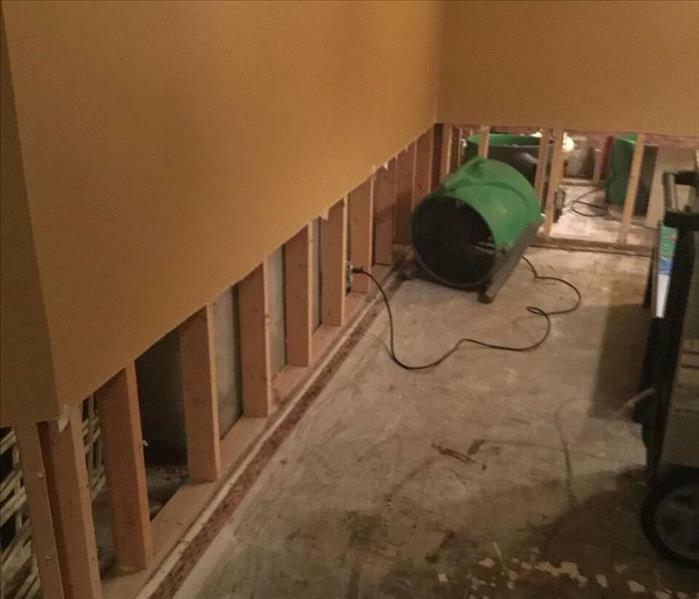 Our crews are able to save much of the sheetrock and contents in this basement by only cutting out the affected sheetrock to allow drying in the wall cavity. 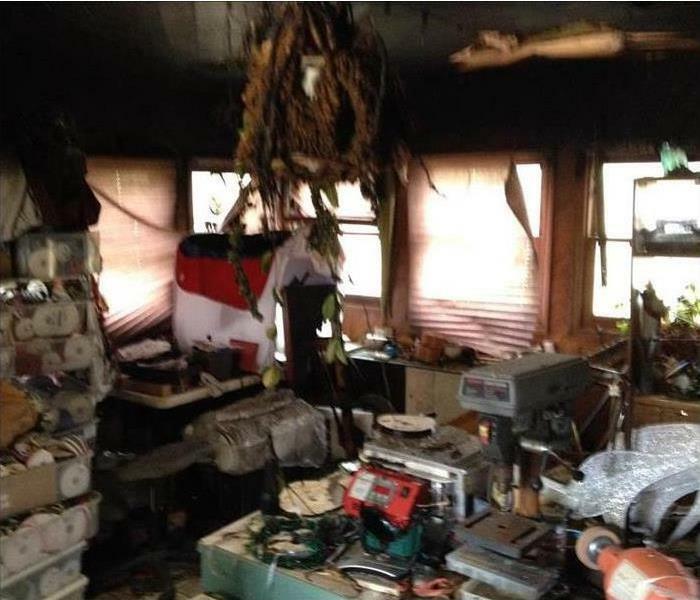 This home received extensive damage from a garage fire. SERVPRO of Nixa/Branson cleaned and dried the structure and reconstructed the garage and home. 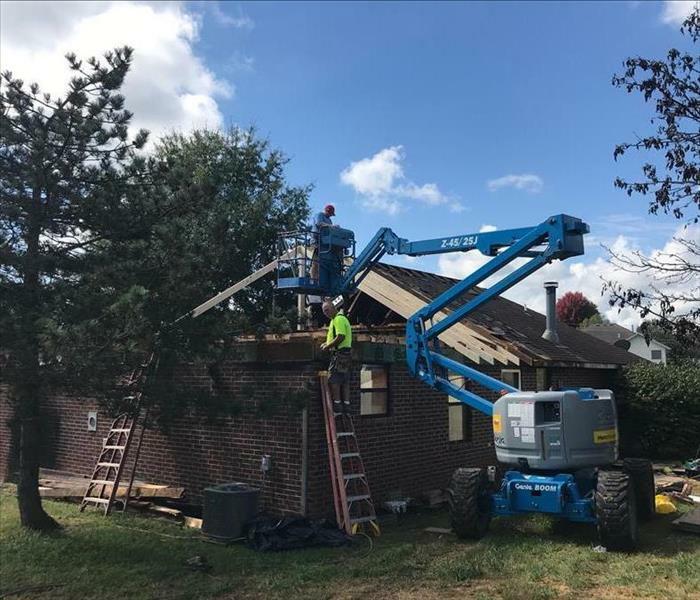 Half of the roof was damaged and removed and replaced. The kitchen was gutted and replaced with all new cabinets, flooring and appliances. The home had a combination of oak trim and painted. We replaced all the doors and finished carpentry to match all white. All modern lighting and hard wired smoke detectors. This home received extensive damage from a garage fire. SERVPRO of Nixa/Branson cleaned and dried the structure and reconstructed the garage and home. Half of the the roof was damaged and removed and replaced. The kitchen was gutted and replaced with all new cabinets, flooring and appliances. The home had a combination of oak trim and painted. We replaced all the doors and finished carpentry to match all white. All modern lighting and hard wired smoke detectors. 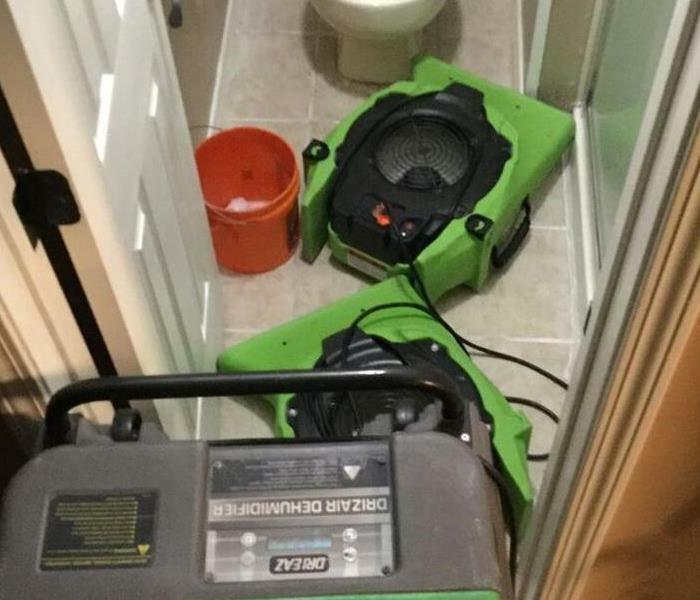 This family’s residence experienced serious water damage after washing machine malfunction SERVPRO of Nixa/Branson has the expertise and equipment to mitigate residential water losses just like this one. 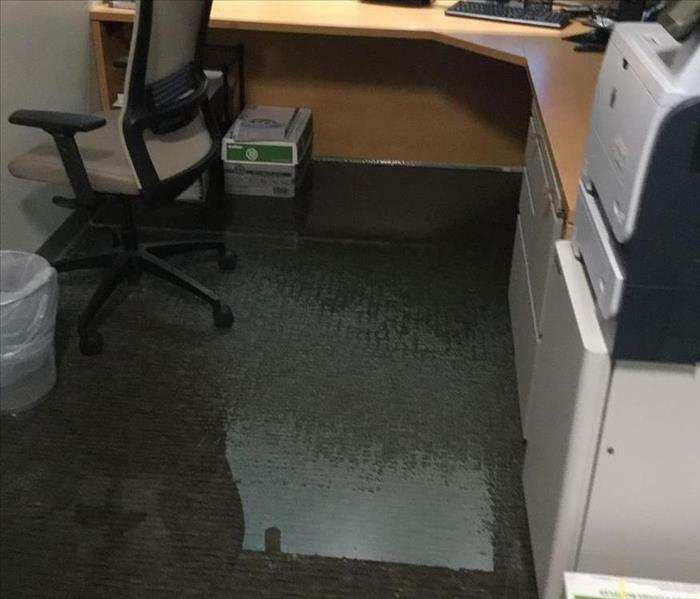 Storm waters invaded this entire home with several inches of flood water. 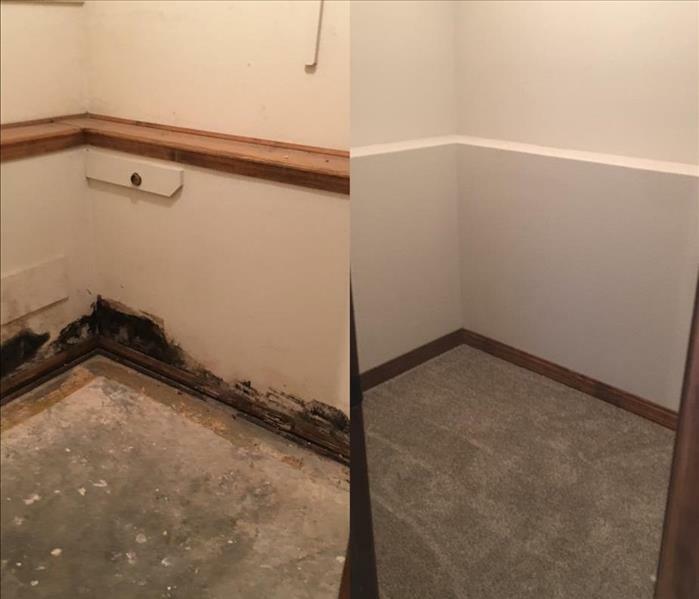 SERVPRO of Nixa/Branson team members had removed all porous material including baseboards, flooring and drywall. 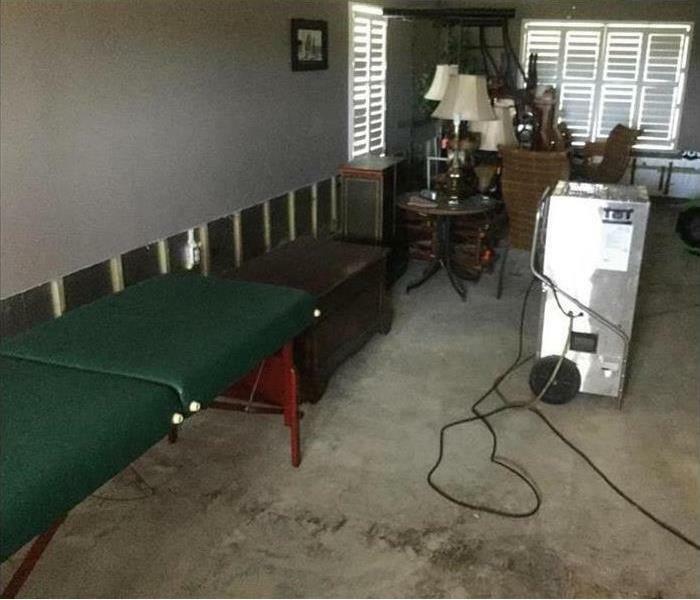 We used appropriate equipment to extract, treat and dry the damaged home to prevent mold growth. 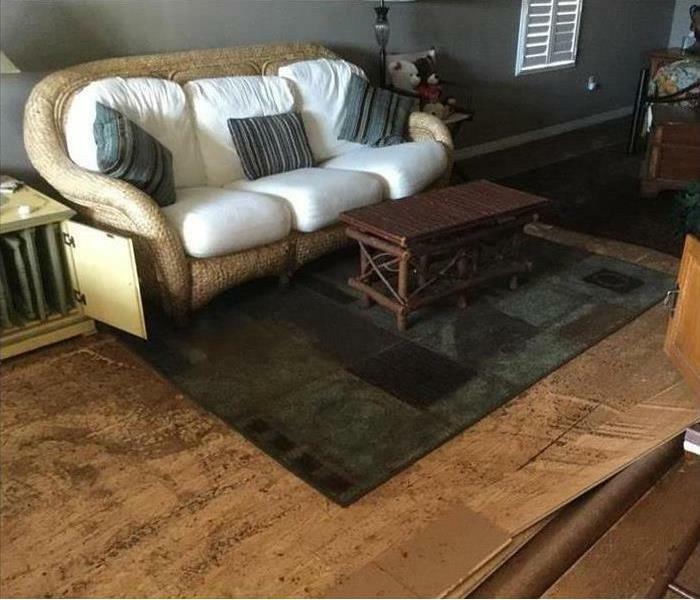 Storm waters invaded this entire home with several inches of flood water. 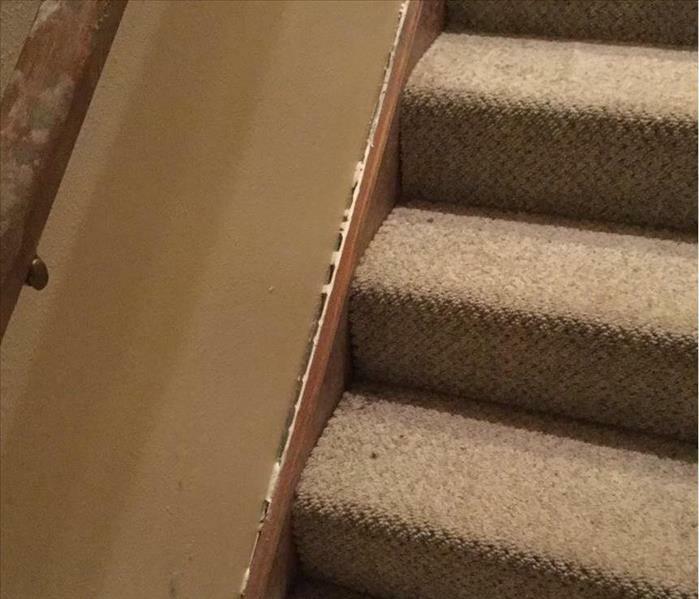 SERVPRO of Nixa/Branson team members removed all porous material including baseboards, flooring and drywall. We used appropriate equipment to extract, treat and dry the damaged home to prevent mold growth. 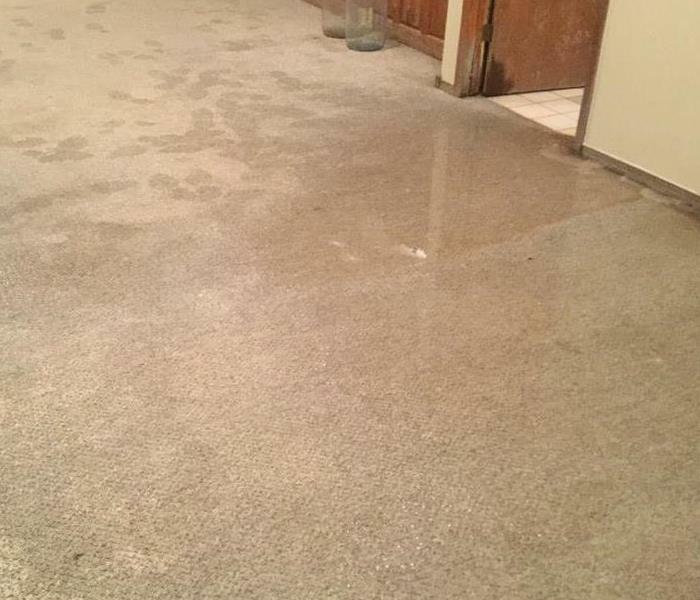 Storm waters invaded this entire home with several inches of flood water. In this photo you can see that we removed all porous material including baseboards, flooring and drywall. We used appropriate equipment to extract, treat and dry the damaged home to prevent mold growth. Storm waters invaded this entire home with several inches of flood water you can see the water line in the photo. 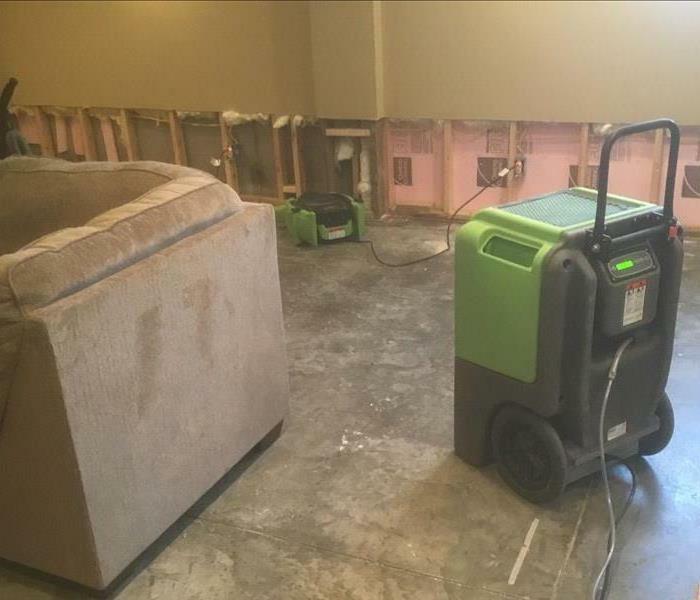 SERVPRO of Nixa/Branson team members removed all porous material including baseboards, flooring and drywall. We used appropriate equipment to extract, treat and dry the damaged home to prevent mold growth. 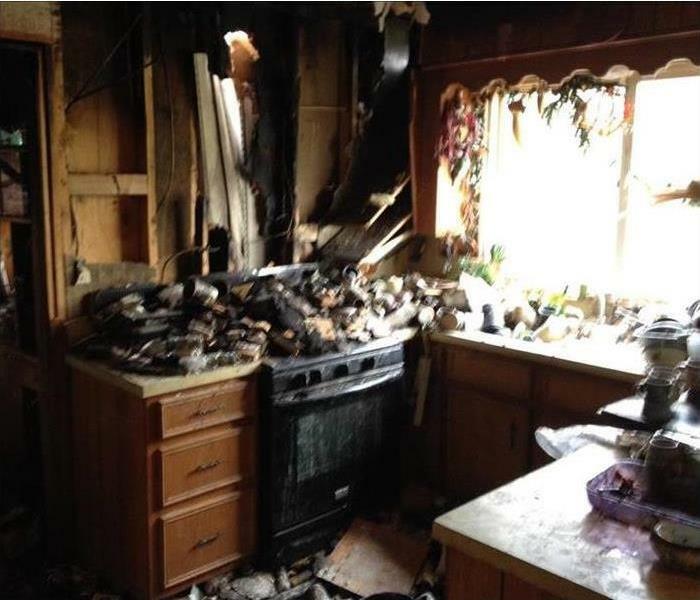 This Branson area home was extensively damaged by fire, water and soot as the result of a cooking fire that originated in the kitchen of this home. Our customer was very happy with the end results. 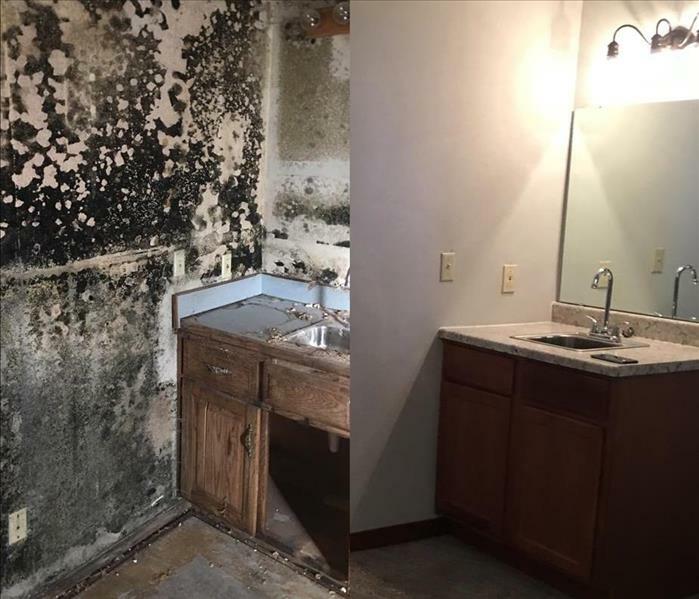 Mold was discovered in this Southwest Missouri home due to a moisture problem that went undetected for several months due to the home being vacant. 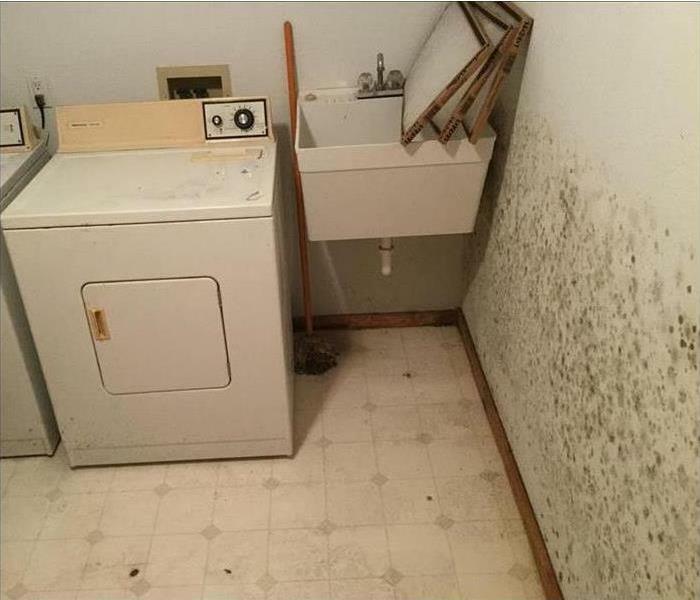 The mold in this laundry room was remediated and restored to pre loss conditions. 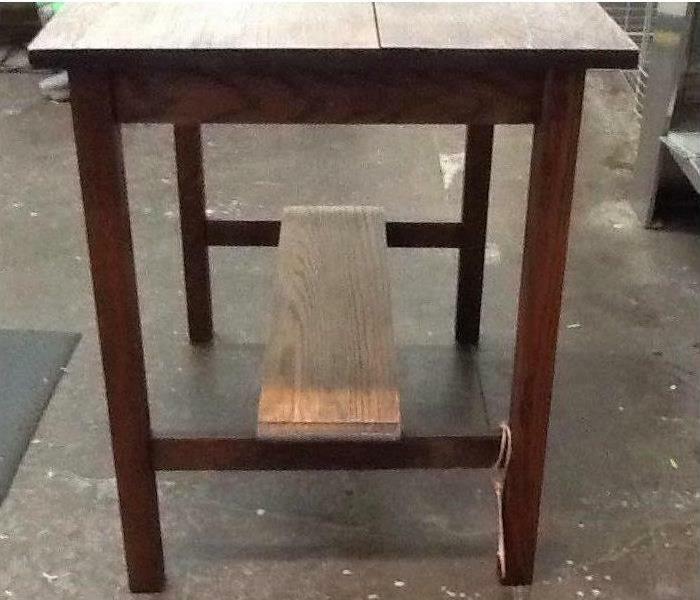 his antique oak table was affected by smoke damage from a recent fire, before and after restoration cleaning. 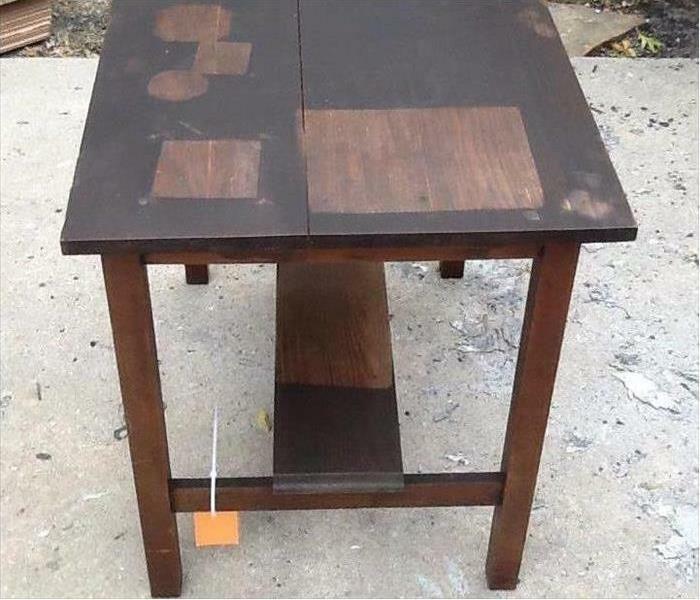 This table is a good example of what we can do for your home and property. We have specialized equipment, specific training, tools and certifications that allow us restore your home and contents to pre-fire condition. 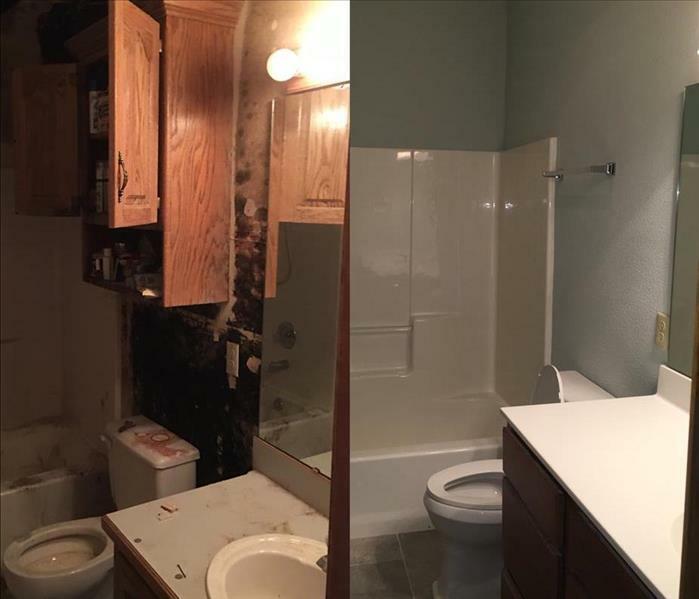 At SERVPRO of Nixa/Branson we focus on restoring versus replacing because restoring the affected areas of your property is substantially less costly than demolishing and replacing those areas. This “restore first” mentality also allows us to get your home or business back to pre-fire condition quicker and with less disruption. This antique oak table was affected by smoke damage from a recent fire, before and after restoration cleaning. This is an example of Storm Damage Cleanup at a Southwest Missouri Area Nature Park. 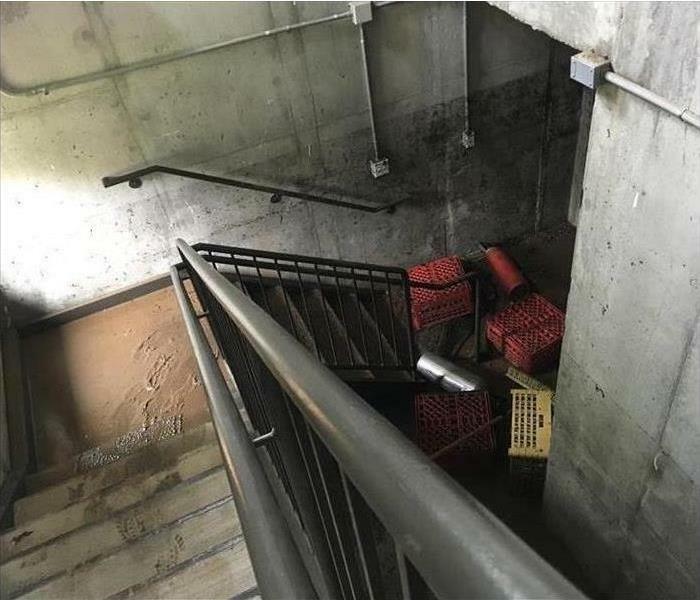 This stairwell was covered in mud. Our crews removed mud and flood debris and cleaned and power washed the area. Restoring storm- and flood-damaged properties is the cornerstone of our business. Our highly trained professionals use specialized equipment and advanced training to quickly restore your Branson property to pre-storm condition. We’re dedicated to responding immediately, which helps to minimize secondary damage. This is an example of Storm Damage Cleanup at a Southwest Missouri Area Nature Park. This storage room and contents was covered in mud. Our crews removed mud and flood debris and cleaned and power washed the area. 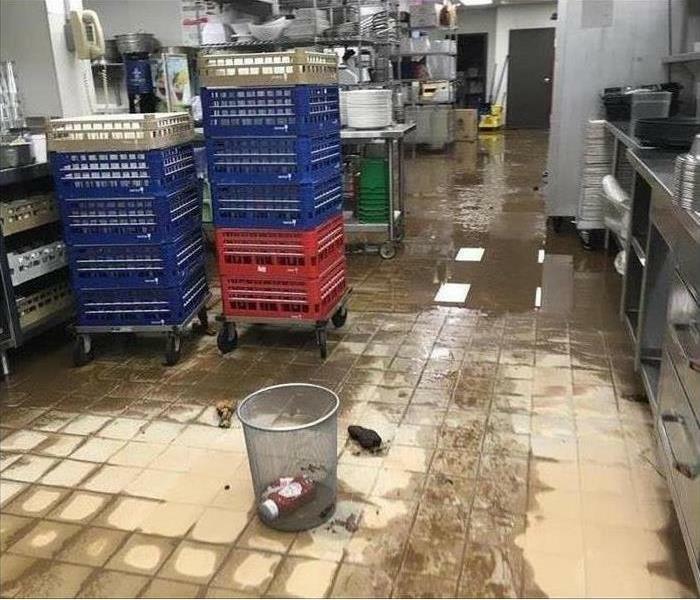 This is an example of Storm Damage Cleanup at a Branson area commercial kitchen. This kitchen was covered in mud. 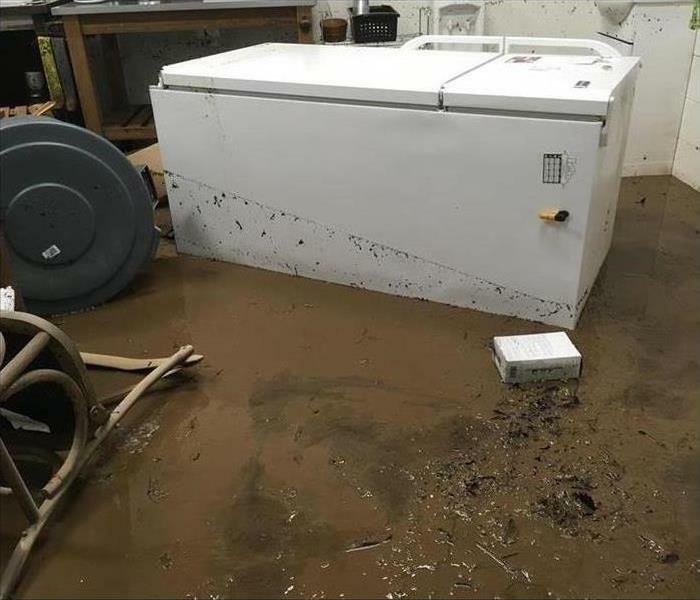 Our crews removed mud and flood debris and cleaned and sanitized the kitchen to get it ready to prepare food again. 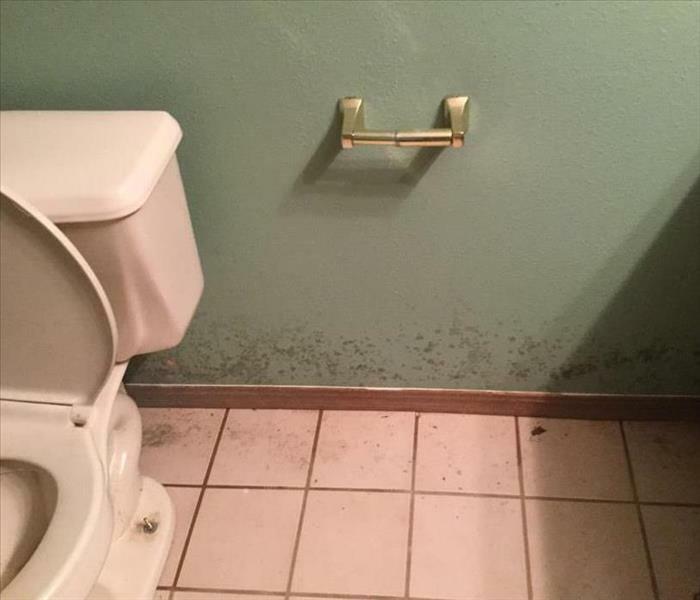 This family’s Southwest Missouri residence experienced water damage after a toilet leak. 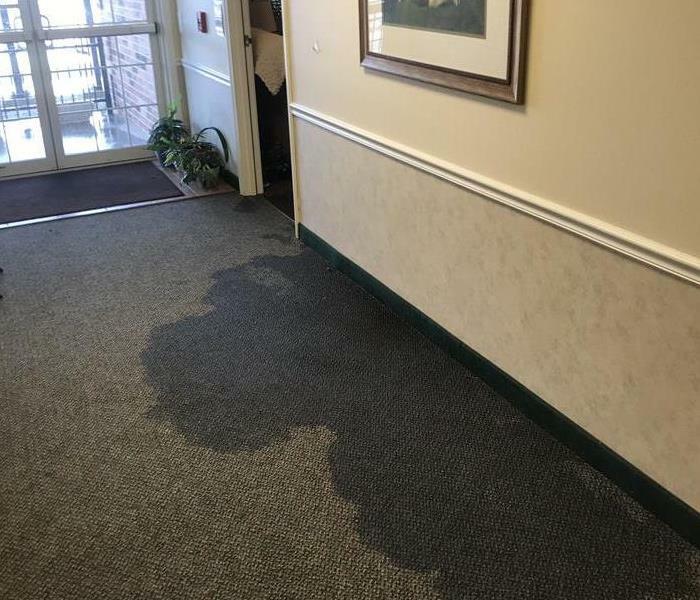 SERVPRO of Nixa/Branson has the expertise and equipment to mitigate residential water losses just like this one. 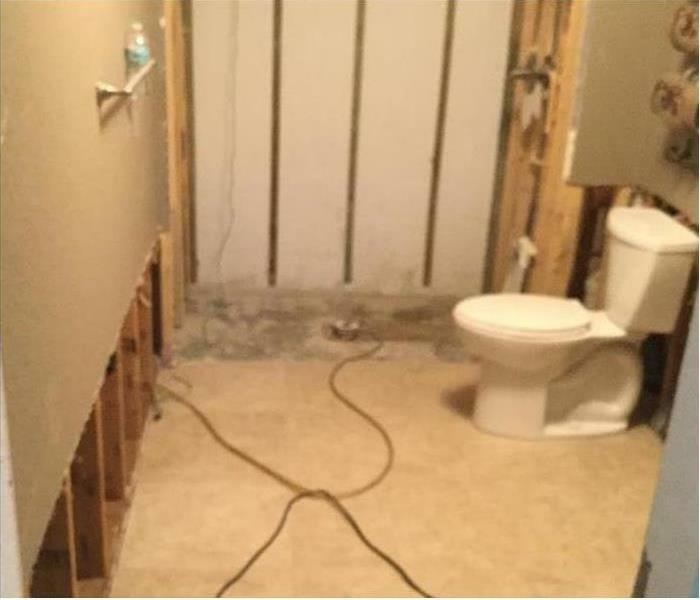 In this particular situation even a minor toilet leak can cause a big headache and mess, the basement bedroom located on the floor directly under this bathroom was severely impacted. 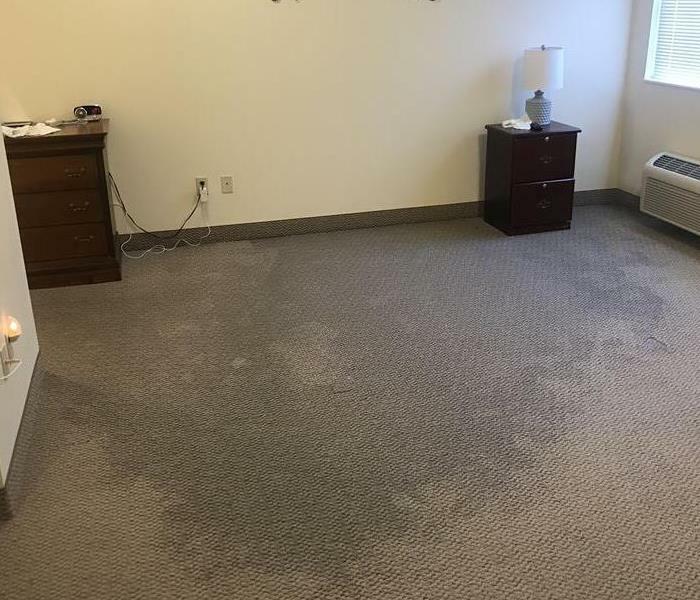 We were able to dry out the bathroom floor and the ceiling and basement area affected. The family was very grateful to be able to use the space again within a matter of days! 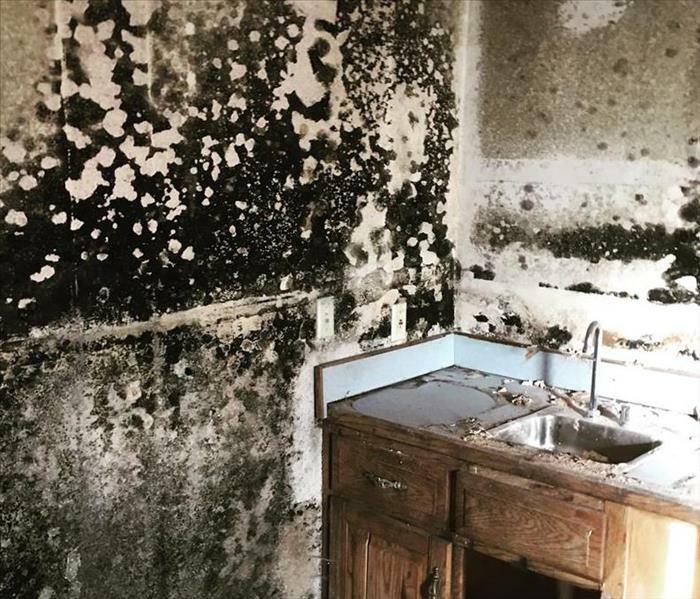 The mold you see in this photo is the result of a leaky roof on a house that had been vacant for some time in Southwest Missouri. 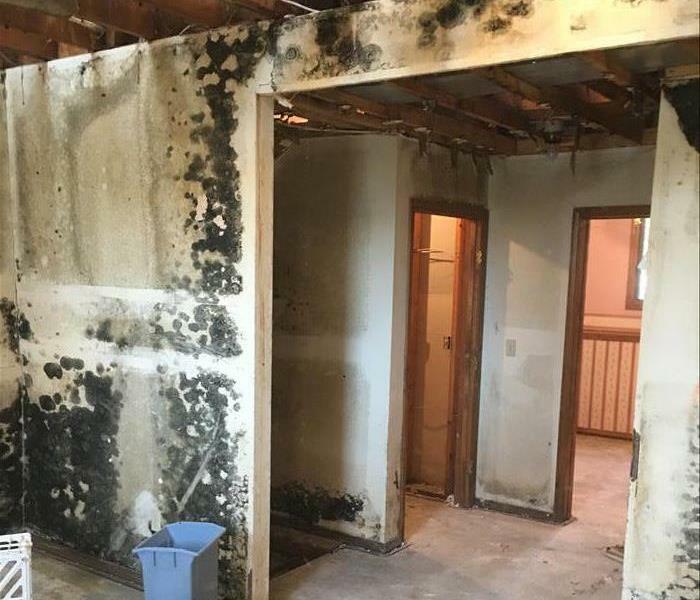 SERVPRO of Nixa/Branson was able to remove and remediate this mold and make it "Like it never even happened." Mold was discovered in this Branson area Crawlspace due to a moisture problem that went undetected for several months. This is a very common occurrence in the Branson area. The mold was remediated and restored to pre loss conditions. Please call SERVPRO of Nixa/Branson if you think you might have mold in your crawlspace. 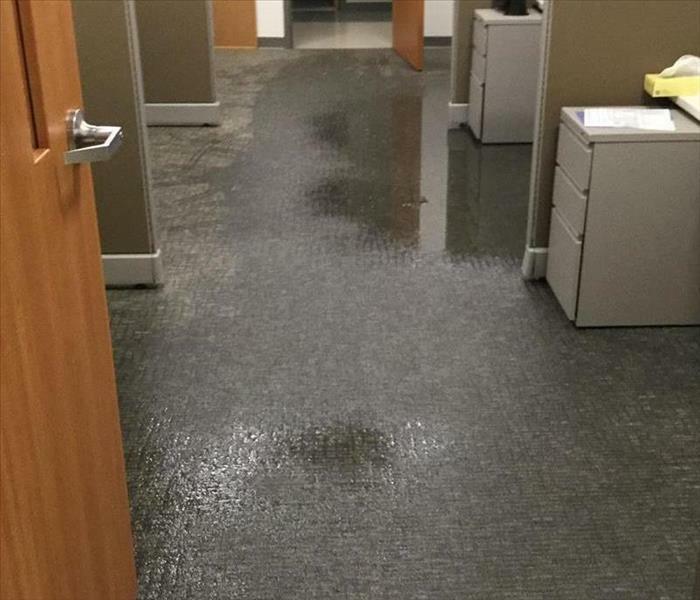 This is a recent Fire and Water Damage in a Commercial Environment in the Branson Area. This building was adjacent to a warehouse that was completely demolished by fire. 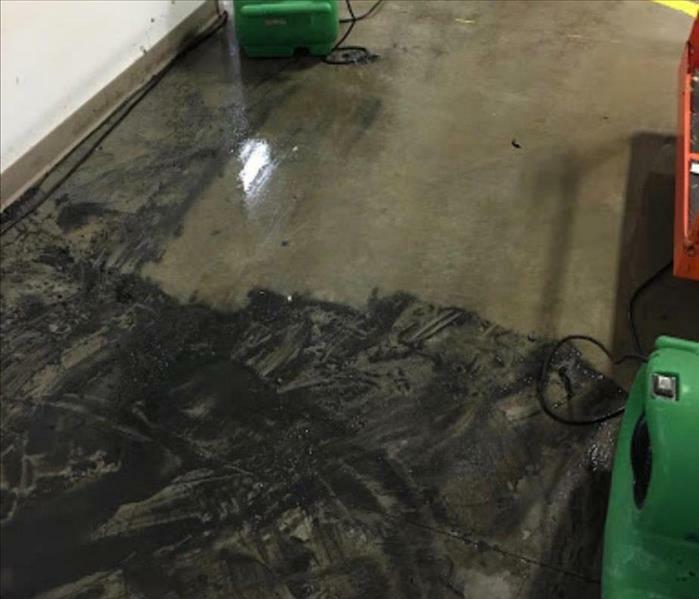 SERVPRO of Nixa/Branson was called and we completed emergency services by extracting and cleaning the flooded floors left behind from the Fire Department. The floors were covered with soot so were steam cleaned to prevent the rest of the plant from being cross contaminated with soot.